My newest book (Stenhouse, Fall 2017) faces the challenge of hard-to-reach writers. 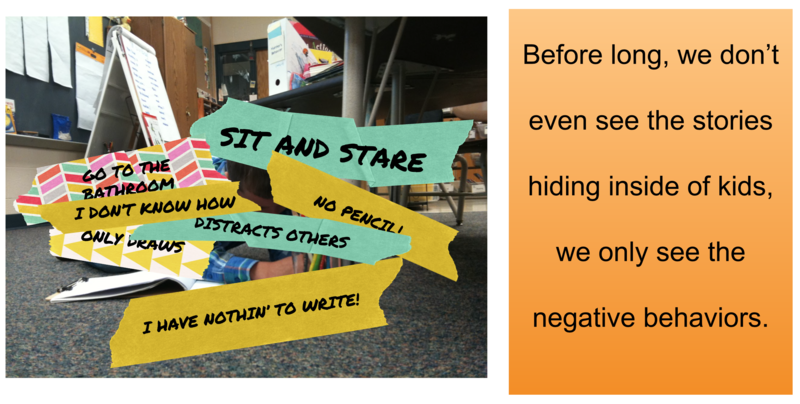 It addresses how to get past the negative behaviors (and often hard histories) of kids who don't want to write. This FREE eBook shares an overview of 35 moves teachers can make to entice hard-to-reach writers. You can get started today with practical ways of encouraging all students to write. Thanks for jumping into teaching writers with me! **IMPORTANT! **Check your email to receive your free copy of 7 LEAPS OF FAITH to Entice Hard-to-Reach Writers. You may have to rescue me from spam!